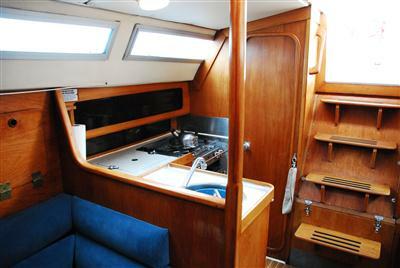 Equipment includes a fully battened mainsail, furling genoa, GPS, two burner hob,oven and grill, refrigerated cool box, hot/cold pressurised water system, stereo radio/cd/mp3, shower, electric windlass, propeller stripper and as with all our yachts she is fitted with a warm air heating system. 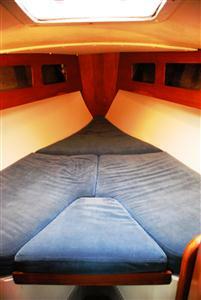 She has had all her internal woodwork stripped and lovingly revarnished and the entire boat has been re-upholstered. 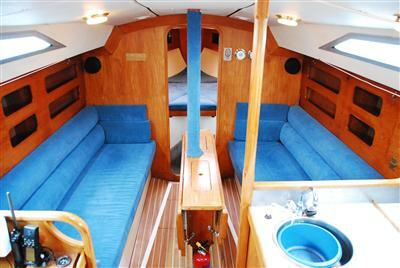 She has also had all new Lewmar self tailing 2 speed winches fitted. 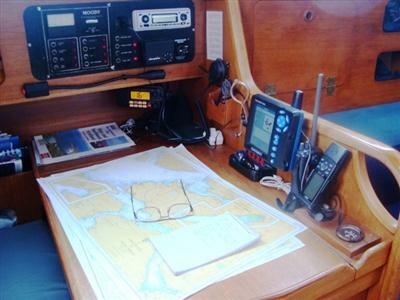 The mainsail and genoa have been recently replaced and at the same time a stak-pack and lazy jacks have been added making this lovely yacht an absolute breeze to handle. The baby of the fleet and an incredibly popular yacht. 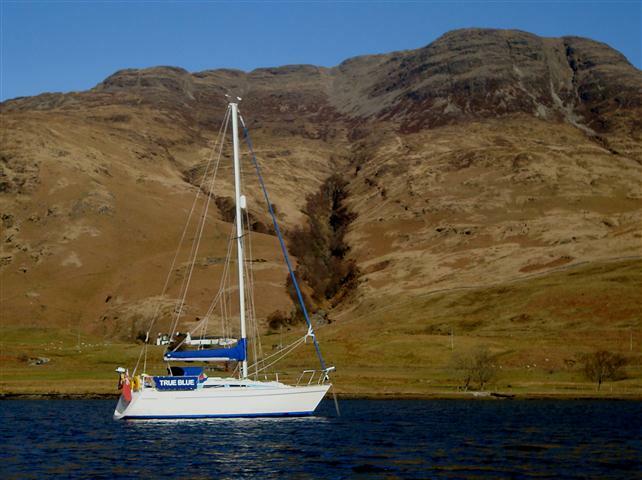 She is deservedly the ‘star of the show’ on the front cover of the new Imray Kintyre to Ardnamurchan pilot book!! 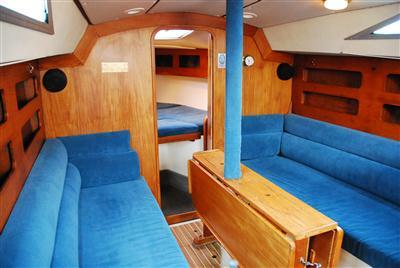 True Blue is our only tiller steered yacht. 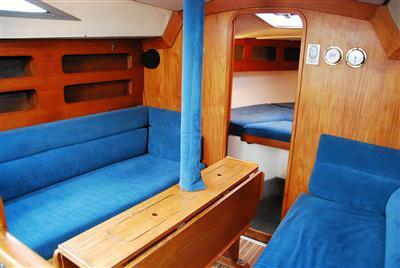 For the 2018 season she is being fitted with a brand new Volvo D1-30 diesel engine – much quieter, more fuel efficient and more powerful – fast battery charging and plenty of hot water. 50% more powerful than the original Volvo 2020 and matched to the Brunton folding prop she will give effortless cruising under power and real authority astern.